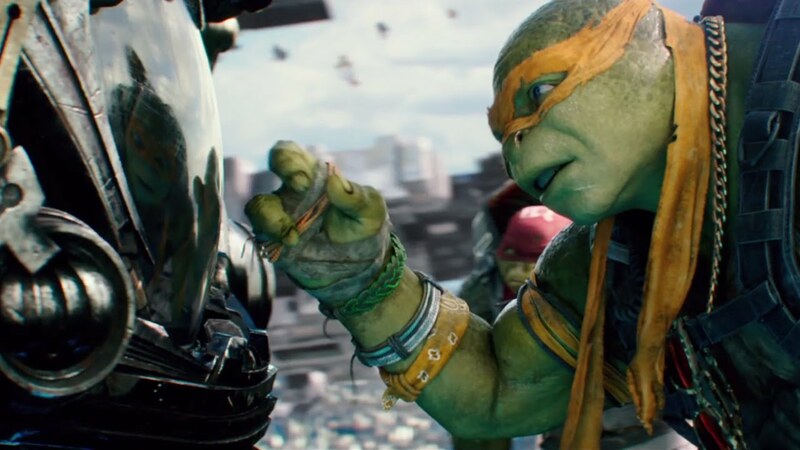 Donatello’s homemade drone nearly stole the show in ‘TMNT: Out of the Shadows’. We know you want one. Krang and his cohorts are on the attack, with a vile plan to open a portal to a far-flung Universe, and only a band of overgrown reptiles can put the mushy big bad back in his place. Well, some overgrown reptiles and a bunch of sweet toys. Of course it is; Out of the Shadows features better action and some of the coolest instruments of crime-fighting tech ever invented. 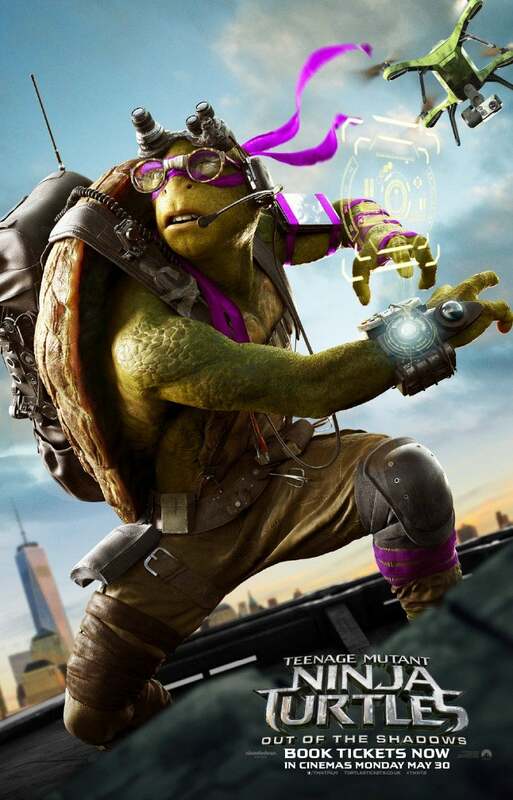 The standout toy in the sequel is Donatello’s drone, perhaps the most badass drone ever put on screen. If you were in any way into the film (and even if you weren’t), the odds are good you came out of the movie wanting one of Donnie’s drones. Any why shouldn’t you? You’re only human, and it’s a well-known fact that humans are jealous of turtles. While what’s available to consumers hasnt quite reached the high water mark set by the smartest turtle, there’s still a vibrant drone-building market that can help hook you up with some pretty cool add-ons and upgrades, which will turn your drone into something to be feared by any and all cross-dimensional invaders. Thankfully for first time flyers, or those marching into battle against a legion of black pajama-clad soldiers, the designers of most drones and quadcopters also take into consideration how well their machine can take a hit. If you really want to make sure that your drone stays in the sky, you’re going to need to get yourself a strong frame. In other words, unless you’re into welding, you gotta go carbon fiber. Not only is it durable, but it’s lighter, which will leave extra available pounds for tossing on the bells and whistles. Of course, if you are into the whole DIY thing and you’ve got a good workshop at your disposal, you could always build a tank drone, like these fellas. For the most part, a drone’s carry weight is a pretty tough thing to improve upon without wading into some pretty pricey territory. That’s probably the most impressive thing about Donatello’s drone in Out of the Shadows’ closing moments: The thing can carry a ton of weight. Unless you’re willing to drop some serious cash, the most you can expect your drone to carry is about four pounds. If you do have some money, you can check out the HL88 “Nemesis”, which can hold up to 18 pounds of payload. Of course, if money really isn’t an object, you can drop $300 G’s on the EHang 184 Octocopter (when it’s available). This guy is capable of actually transporting two people across short low-altitude distances. Unveiled at CES this year, the EHang 184 just might be the first step towards the future of transportation. What’s more, it’s actually self-driving, so you can sit back and simply enjoy the view. For the very best in surveillance drones, you should probably talk to the US government. However, assuming you don’t have several million dollars to spend on your own aerial surveillance device, there are lots of ways to ensure that your drone is getting extremely high quality video. If you’re not the mechanical type, you’ll need to get a drone that not only has a good camera, but solid tech to help you make the most of your footage. 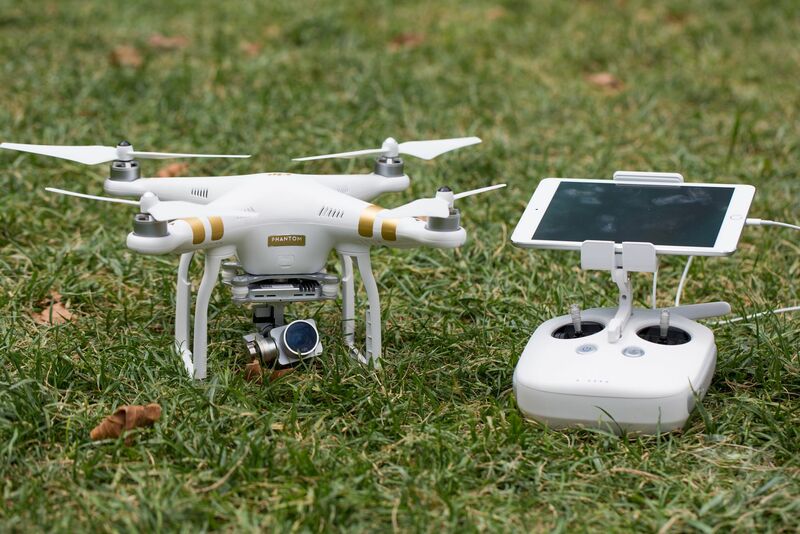 For an amateur, there’s no better option than one of DJI’s Phantom drones. The undisputed industry leader, Chinese-based DJI designs their drones specifically for their ability to shoot, record, and transfer high quality video easily. Now up to the model 4, the Phantom is designed to stabilize your drone’s camera for smooth shooting, while capturing video at full 1080p HD. Live. Even better, the Phantom allows you to cache said footage while you’re flying, so even if your drone is captured by the Foot clan, you’ll still be able to save your surveillance footage. Doing something comparable with a DIY drone would require Donatello-level genius. This is probably the toughest thing to do. While getting a drone that gets great video isn’t a problem, but getting a drone that shoots someone or something is extremely difficult. It seems as though more people are concerned with buying something to shoot a drone down than they are with arming drones themselves. Finding a drone that’s equipped with projectiles right out of the box is borderline impossible. It’s as if designers don’t trust the general public with what would undoubtedly amount to several thousand assault charges. In other words, if you’re going to have a drone that shoots something, you’re going to have to do it yourself (or go to a military contractor). Also, we don’t recommend arming yourself or a flying death machine, for the record. If you’re not in the business of scatter painting rioters, however, enterprising drone builders can build less violent variations on the armed drone. Designer Andy Shen actually built a drone that shoots Nerf discs. It’s not easy, but it’s doable. So you don’t have thousands of dollars (or even a few hundred dollars) to get set up with a proper drone? No problem, you can always drop ten bucks on a knock-off Lego and make humming noises with your mouth.